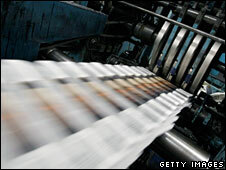 If the economic crisis goes on much longer, will there be any newspapers left in the US to write about it? The latest casualty is the venerable San Francisco Chronicle, whose owners on Wednesday announced they were planning to cut a "significant" number of jobs to meet cost-cutting targets, and that if the targets are not met, then the paper would be sold or closed down. The Chronicle, which was founded in 1865, soon after the gold-rush hit California, lost more than $50m (£35m) in 2008, and so far 2009 is looking even worse for the title. Circulation fell by 7% in the six-month period running up to 30 September 2008, and advertising revenues are plummeting. The Hearst Corporation - the Chronicle's owners - last month proposed similar measures for another of their titles, the Seattle Post-Intelligencer. And the owners of Denver's Rocky Mountain News announced on Thursday that the newspaper would publish its final edition on Friday. The Tucson Citizen also faces the axe. Without these titles, Seattle, Denver and Tucson would still be served by at least one newspaper each. But the demise of the Chronicle would leave San Francisco with no paid-for newspaper (the city's other main newspaper, the Examiner, is given away free). What are pundits saying about the events at the Chronicle? Even the biggest names in the US newspaper industry are feeling the recession's bite. The New York Times is struggling to service debts of some $400m, amid dwindling cash reserves and plunging revenue. Last year it had to mortgage its gleaming new headquarters (built in 2007 with much fanfare) to bolster its cash flow. Three other newspaper companies have also filed for bankruptcy in recent months: the Star Tribune Holding Corporation (which owns the Minneapolis Star-Tribune), the Journal Register Company (which owns the New Haven Register and a number of other titles in the North-East), and Philadelphia Newspapers LLC (which owns Philadelphia's two top newspapers, the Inquirer and the Daily News). Although some companies are doing better than others, and some companies (like Tribune Co) took on more debt than was advisable, the bankruptcies and closures are all attributable to an industry-wide malaise. And the reasons for that malaise are not hard to figure out. Newspapers used to get their income from two sources: their readers (who either paid by subscription or at the newsstand) and advertisers. As more and more newspapers started making their content available on the internet free of charge, the first source of income dried up, as readers stopped paying for articles that they could get free on the web. Newspapers hoped to make up for the sales decline with increased advertising revenue, as the market for online adverts exploded. But the rise of classified advertising websites like craigslist.com cut into newspapers' revenue stream, while the recession has led to a drastic reduction in the amount of advertising companies are willing or able to pay for. "You take readers and advertisers who were already migrating away from print, and add a steep recession, and you've got serious trouble," writes the New Yorker's James Surowiecki. Of course, print circulation losses are being partially offset by increases in online readership. The problem for the newspapers has been finding a way to turn increased readership into increased revenue. "It's said that for every dollar the newspaper gets in print advertising, that same dollar translates into the equivalent of less than a dime in its online counterpart," says Professor Neil Henry, Dean of the Journalism School at the University of California, Berkeley. He worries that the widespread cost-cutting and possible closures threaten to devalue journalism - and democracy - in America. "An important and vital part of democracy is vanishing before our very eyes, whether the public realises it or not," he told me. Time magazine's Walter Isaacson suggested in a recent article that newspapers and magazines should adopt a system of micropayments. Readers would pay a couple of cents for an article, a bit more for access to a full day's edition, and a couple of dollars for a monthly pass. But as Michael Kinsley explains in the New York Times, micropayments are unlikely to generate enough revenue to make up for the advertising shortfall. "The [New York] Times sells just over a million daily papers. If every one of those million buyers went online and paid $2 a month, that would be $24 million a year. 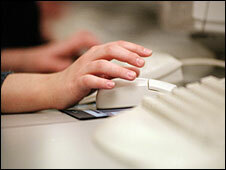 Even with the economic crisis, paper and digital advertising in the Times brought in about $1 billion last year. Circulation brought in $668 million." "Two bucks per reader per month is not going to save newspapers." Other commentators have suggested that newspapers could reorganise themselves as not-for-profit trusts, backed by rich patrons, and stop relying on sales or advertising for their revenue. Professor Henry warns that this could cause problems of its own. "What happens if journalism must depend for its survival solely on the altruism of rich people, whose own special interests may invariably sway coverage?" His faculty is experimenting with a new business model. "We are developing a number of... local news sites in digital format for neglected communities in the Bay Area, in which our students are producing content from our reporting classes for academic credit and as paid interns... There's a long way to go, but it's a start - and it's truly galvanizing our students, faculty, and local communities." Whatever model the newspapers of the future adopt, the current crisis is likely to put at least some titles out of business, with only the strongest surviving. Less competition could mean more business for the survivors and the industry is likely to consolidate, with cities and regions being served by fewer newspapers; we could perhaps see a truly national newspaper market develop in the US. But with US newspapers competing with one another, as well as with international news providers (including the BBC), there would still be plenty of choice for news consumers. "With even half a dozen papers, the American newspaper industry will be more competitive than it was when there were hundreds," writes Michael Kinsley. "Competition will keep the Baghdad bureaus open and the investigative units stoked with dudgeon." The "crisis" in the newspaper industry may, therefore, be more of a crisis for the journalists and publishers who are currently facing job losses and bankruptcy. But if it is merely the quantity, but not the quality, of journalism that declines then - for readers - there may not be a crisis at all. I see this as an opportunity squandered. Here was the paper atop Silicon Valley that should have seen the changes in our world clearer than any other, that should have anticipated the importance of October, 1994, when the commercial browser was introduced, that could have reinvented itself over a luxurious decade and a half. But now, instead, it's hurry-up-or-die for the Chron. As much as I'd like to think a major city can survive without a newspaper, I'm not super-excited to try the experiment personally. San Francisco has some of the nation's most tech-savvy citizens, but are they really ready to get their local news only from virtual sources? If the Chronicle gets shut down within weeks, as seems to be Hearst's intention, they may have no choice but to find out the hard way. The trend towards reading news online is better established in the technophiliac Bay Area than elsewhere. It no longer seems so unfathomable that the Chronicle might close. The shame is that not many people might mourn its passing. Here's one way of looking at this somewhat shocking news: This is Hearst trying to strongarm the union into complying with whatever demands they try to shove down their throats. They are basically saying "concede to layoffs, loss of vacation and severance, or we will shut it down." The question is, how will the union members respond to these bullying tactics? Will individuals hope that their jobs won't be the ones cut, or will they call Hearst's bluff? Another way of looking at it: They're broke as all hell, and they will shut it down. Which seems to be the most likely scenario.